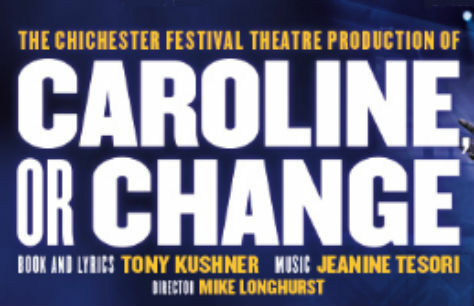 Caroline, or Change tickets are now available for the West End transfer to the Playhouse Theatre. Kennedy has just been assassinated though that doesn’t change the realities of Caroline’s world. A black maid to a Jewish family in Louisiana, Caroline is struggling to keep it all together, financially and emotionally, in her household and the household where she works. Noah, the 8-year-old son of the family she works for, is trying to make sense of things after his mother’s death and his father’s remarriage and looks to Caroline. Olivier Award-winning actress Sharon D. Clarke once again takes the lead role. She is well known from her work on stage in shows like Guys and Dolls, The Amen Corner, and Ma Rainey’s Black Bottom as well as her TV roles in shows like Holby City, EastEnders, and The Singing Detective. Olivier Award winner for Best New Musical, Caroline, or Change comes from Tony Kushner author of the critically acclaimed Angels in America with a stunning musical score by Tony Award-winning composer and arranger Jeanine Tesori. This personal story tells an intimate story that addresses wider questions about race, human rights and ideals. With a cast of heartfelt characters and household appliances, this musical will touch you. Get your Caroline, or Change tickets before it is too late! Please note that Sharon D. Clarke will not be performing on any Monday evening.